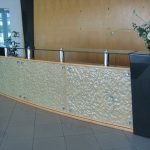 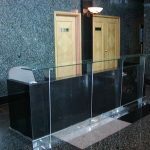 The reception station is your welcome mat and a central piece in any modern office to greet your visitors with the utmost service and style. 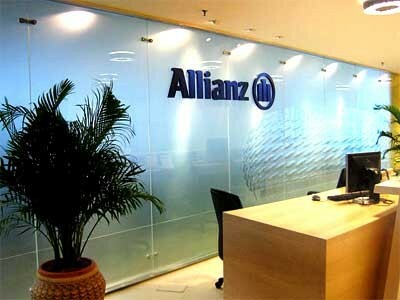 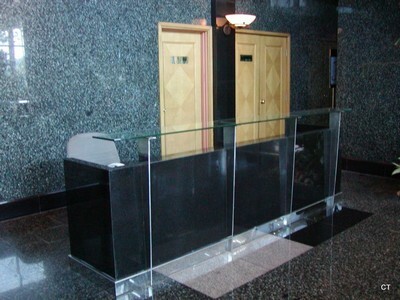 A glass reception hall can create a clear, clean, light appearance that complements any contemporary interior design. 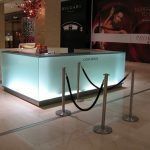 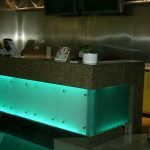 To give added sparkle or design to your counters , the glass can be sandblast etched or carved or glue chipped for texture. 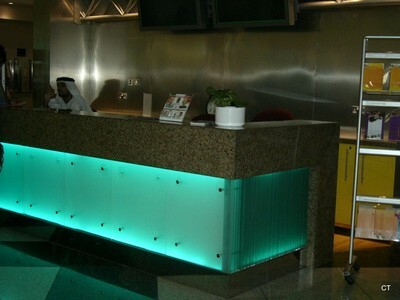 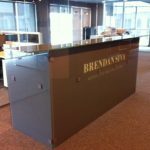 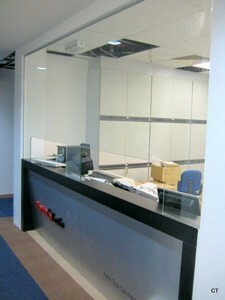 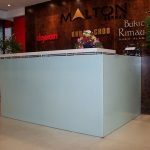 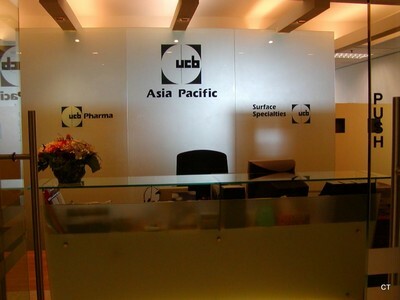 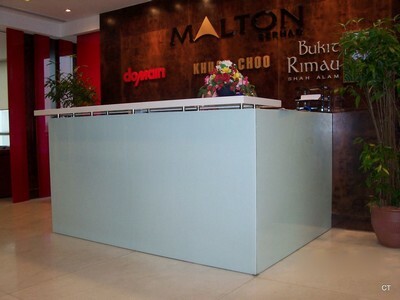 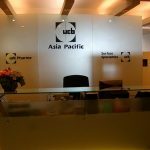 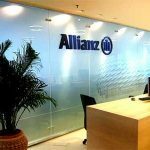 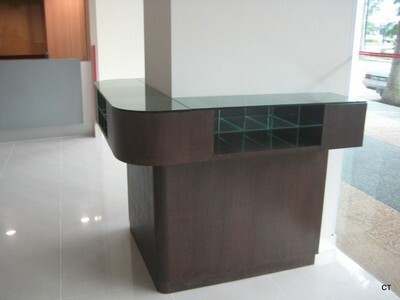 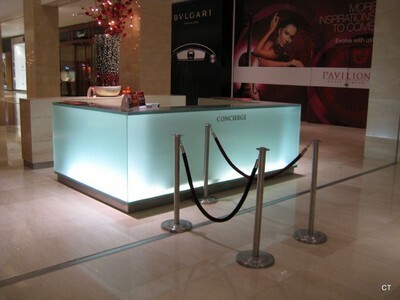 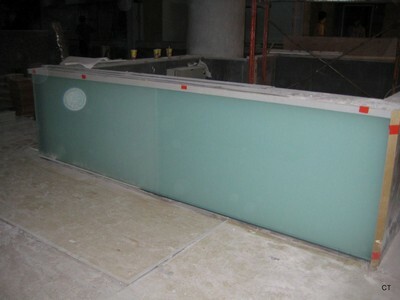 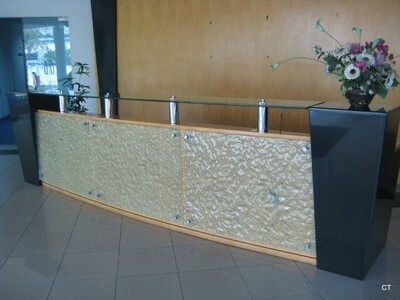 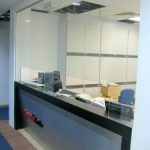 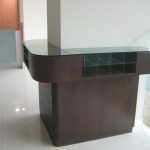 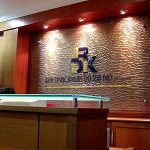 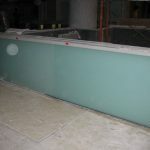 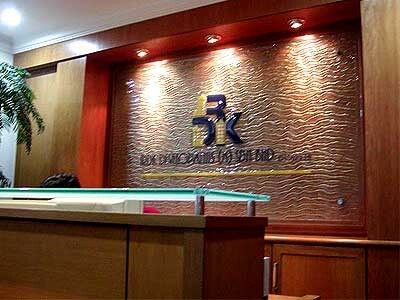 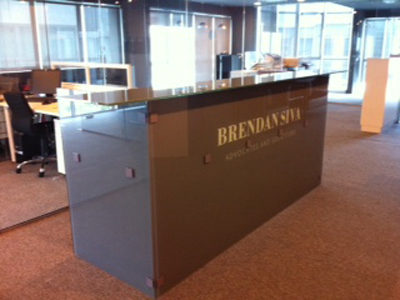 Raised glass counters and transaction tops are common new look in today’s business environment.